​"The Beat is in the Feet!" As a swing rhythm guitar player, I can verify Oliver’s claim. There is no doubt that, when I watch dancers’ feet, my playing pushes up the rhythm. Dance has been called “music made visual,” and in fact many early jazz players were dancers. Experts say that “to talk about dancing…without talking about music or art or drama is like talking about fish without talking about water.” Tap dancers, in working with musicians, created new rhythms; the dancers joined the rhythm section. In other words, dance stands at the center of American swing music—which was never just for listening. Gleason: "You're going to the moon, Alice!" As the landmark author Ralph Ellison (Invisible Man) has written about Kansas City jazz, “Something was happening to the rhythm of the music. Not only did we hear it, we saw it, because you listened to the band swing the dancers and watched the dancers swing the band." Today there is a worldwide rebirth in swing jazz and dance—just like after the Gilded Age, when the “Big Noise” of New Orleans came out of the closet. Young Lindy hoppers tell me that, in this divided society, dance and swing could be an antidote—a way to build community. I’ve seen them on the floor, smiles plastered on their faces—and joy is in the house. 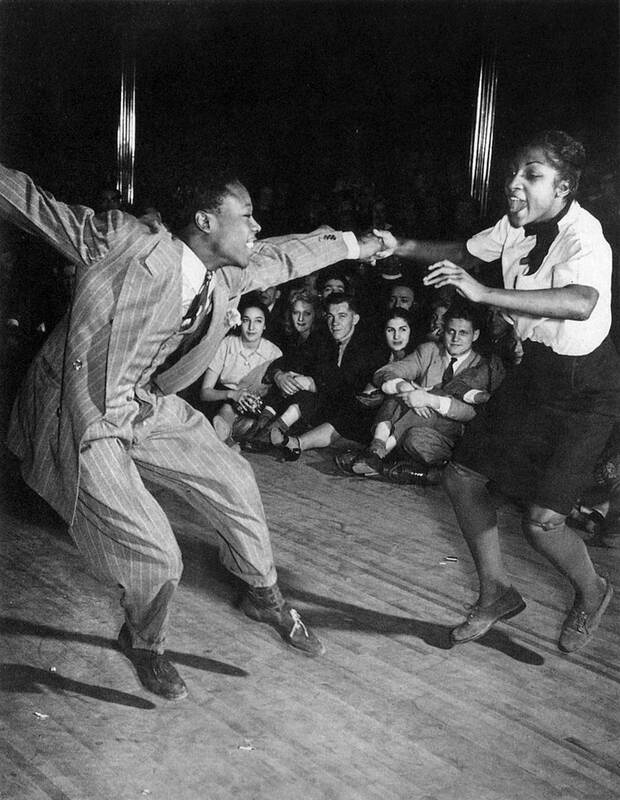 In this feel-good talk, we present a bouncing mix of swing dance videos from some of the greats—Astaire & Rogers, Bill “Bojangles” Robinson, Ellington and the Cotton Club Dancers, Bill Haley & the Comets—even Jackie Gleason (! )—together with some over-the-top swing dance from the new Millennial generation. Jazz can never die: it’s about life. 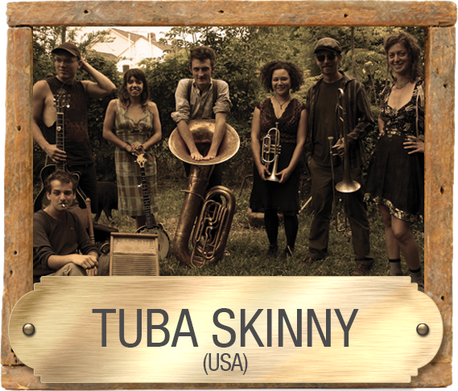 Tuba Skinny is one of the most synchronous yet rootsy new bands in the traditional jazz idiom. You can see them in New Orleans on Bourbon Street--eight “ragtag” kids in their late twenties and early thirties playing jazz and jug-band music tight as a clock and fueling a floor full of Lindy Hoppers into a jumping groove. The next wave!